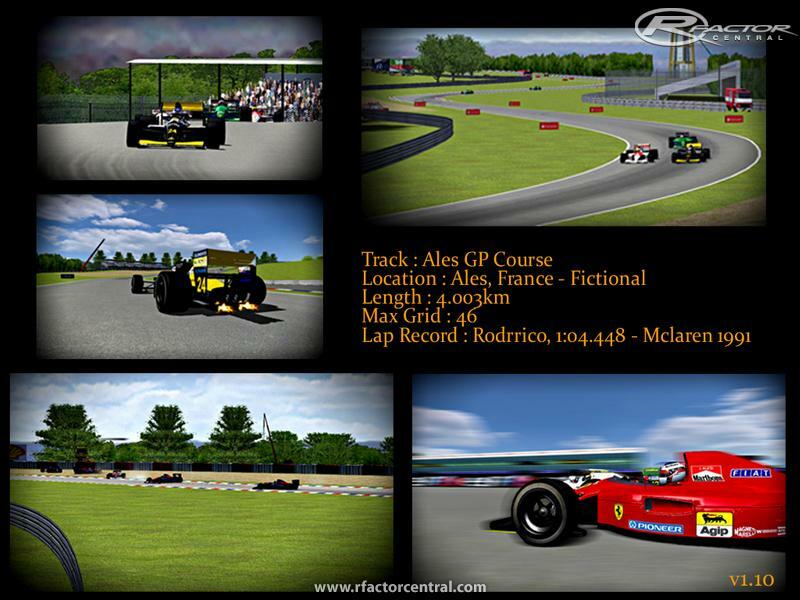 Ales GP is my fictional recreation of a real world circuit known as Circuit d'Ales in southern France. 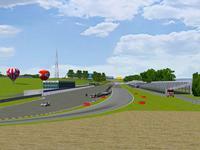 The basic layout of the map is the same, however the elevation and cambers are very different from the real Ales. I added my own chicane to slow down Touring Car mods towards the end of the circuit. Thus, I consider this a fictional circuit. 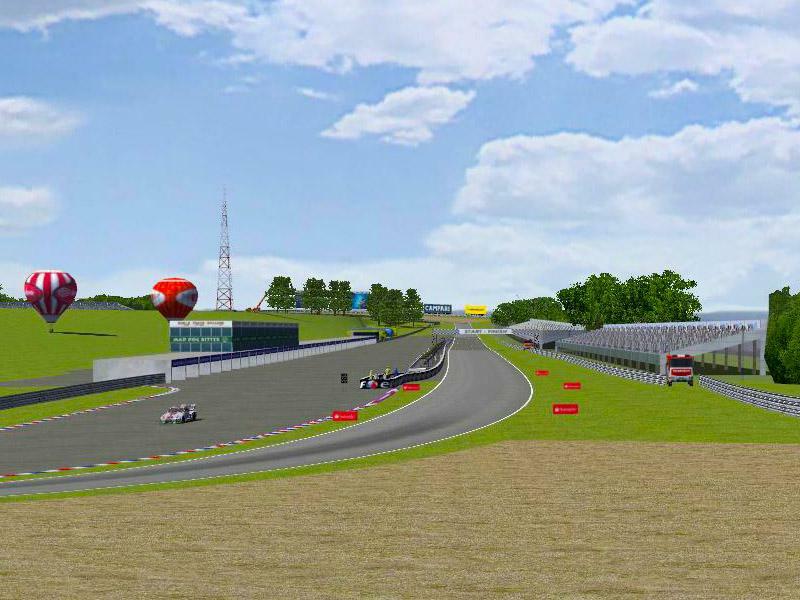 1.10 - Updated minor things such as textures meshing together, some shadow details and most importantly, the pit lane now enables cars to cross the finish line each lap. There are currently no setups for Ales GP. Add a Setup. I'm pretty sure someone else has been working on the real world version. It's much shorter and tighter than my one and doesn't have the fast chicane on the back straight. I'm just downloading the track right now. Ales is my birth town, dude! and if I don't live there anymore, I often go there and maybe I could find some good contacts with people working at the real track, whose actual name is 'Ales - Pole Mecanique" (for the no accentuated characters version), "Alès - Pôle Mécanique" (for the full one); so I might be able to find/collect real data and/or pictures, if that could help you in making a non-fictional version of it Just tell me what you would need and I'll see to find it out. Extremely excited to try this track out! I've been to this track and raced on the Kart track next door. Thank you for pointing this bug out. I will try to fix it this weekend. Sorry for the late reply. Nice track, but it has a bug: almost every time you enter the pit lane that lap is not detected and the result is that you are a lap behind your competitors. We have made an online race and 12 of 15 drivers have suffered this problem. Only three were OK. It seems that is a fault in the checkpoint of the finish line when the car is not on the track but in the pit lane. Thanks.